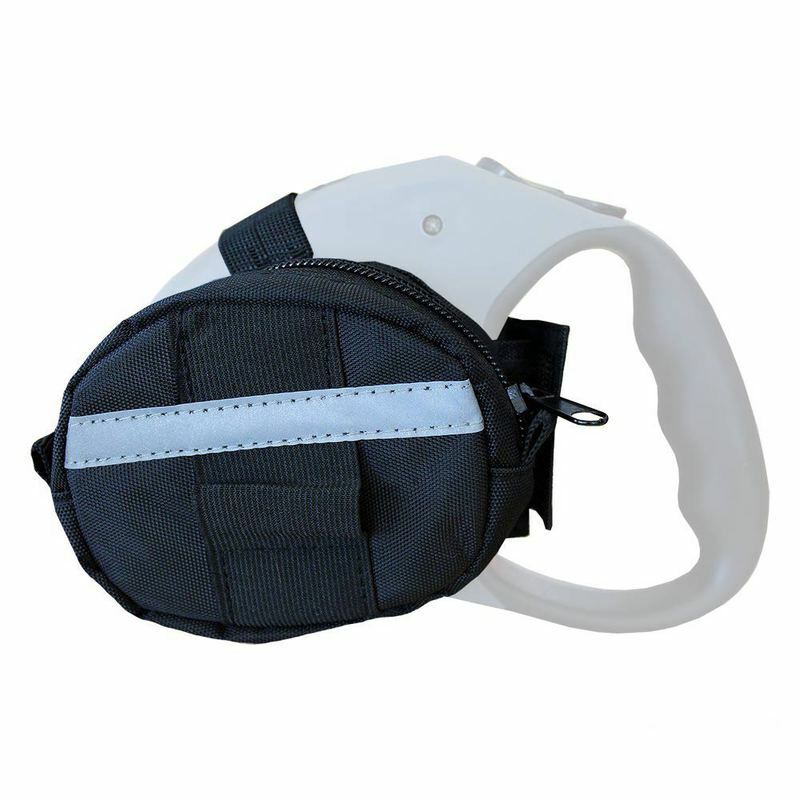 The Retractable Leash Accessory Bag fits securely over most medium and large sized retractable leashes. It is lightweight, durable, reflective and water resistant. Slide your retractable leash between the two pouches until the leash meets the three elastic bands found on the bottom, front and top of the accessory bag. Fasten the velcro tabs around the retractable leash handle. Make sure that the top elastic band does not interfere with the cord or belt coming out of the retractable leash. Once secured on your leash, simply pack the accessory bags with waste bags, treats, keys, etc. before your next walk. It has two zippered main compartments and two hook and loop fastener closure mesh side compartments so there's a place for everything. Item does not included a retractable leash; this is on the accessory bag. Do not let your dog chew on the leash luggage. 10" x 5.3" x 2.8"